The ORIGINAL Renzoku Chiya-Ryoku Nano Wand® (also known simply as the Zeropoint Continuum of Life Nano Wand) balances and refocuses your body's natural healing energy, restores natural energy balance and healing properties in the foods and beverages you consume, and eliminates pain, inflammation, fatigue and much more in humans and animals. This is the ORIGINAL full-spectrum Nano Wand. Although some are selling "look-alike" wands for $30 to $150 (with some of the more unscrupulous ones selling for as much as $350 or more), ONLY the Renzoku Chiya-Ryoku Nano Wand® comes with a certificate of authenticity and can bear the Renzoku Chiya-ryoku and Zeropoint Continuum of Life logos. This incredible tool is the result of ancient healing technologies, combined with scientific precision andadvancements in natural healing. Created through a painstaking process in which a proprietary combination of granulated crystals, minerals and other components, enhanced and energised with a full spectrum of more than 800 unique frequencies of piezoelectric, scalar, far infrared and zeropoint energy; it is then encased in a stainless steel instrument, no bigger than a precision pen. The powerful combination of fused crystals and other components balance and harmonise the innateenergy in both gross and subtle bodies; meaning that it works on the energy at the physiological and ethereal levels. The resulting powerful healing and energising potential of the ORIGINAL RenzokuChiya-ryoku Nano Wand acts as a zeropoint energy amplifier, which can receive, activate, store,transmit and regulate bio-energy. This stimulates the body's natural healing abilities, and allows theuser's own body to create more vibrant, stable and optimal health. The effect of using the ORIGINAL Renzoku Chiya-ryoku Nano Wand on a daily basis helps to create and restore homeostasis -- the process by which the body adjusts its functions to compensate for deficiencies, dis-ease and imbalances. By "re-tuning" the body's bio-energetic field to Zero Point Energy -- a process in which what actually happens is that the imbalanced state of each molecule or atom is rebalanced to resonate fully with the full spectrum of healthy bio-energetic frequencies, we are able to experience a reduction or relief from pain, inflammation, toxins and chronic fatigue. 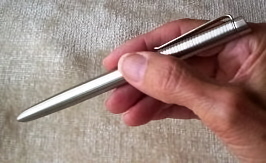 The Renzoku Chiya-ryoku Nano Wand facilitates and strengthens the flow of bio-energy (also called chi or ki), while unblocking areas in which that energy may not be flowing fully. This can have the effect of allowing your body to improve its natural immune response, increase energy and utilise the nutrients and micronutrients in the foods you consume more effectively. • With each use, it is helpful to first strike the wand three times on a table or other hard surface to"stir up" the particles and create an energetic reaction inside the device. • Begin your use of the wand by energising all soft tissues in your body at once to better receive and transmit the energy, by stirring an 8-ounce glass of mineral water or purified spring water for 3-5 minutes, in a clockwise fashion. Allow the wand to sit in that glass of water for an hour. Then drink the water, and begin to use the wand on your body. 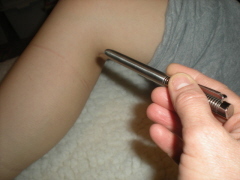 • Point the Nano Wand at the area you wish to treat, rotating it clockwise, 3, 9, 18 or 27 times. • For greater effectiveness, point the Nano Wand as close as possible to the area of pain, inflammation, discomfort or poor energy. Retail Price: Regularly $249 U.S. This Zeropoint energy-infused mist addresses the imbalance of every day physical signs at the energetic level to reorganize your bio-energetic field. 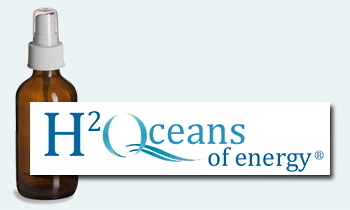 H2Oceans of Energy can naturally aid in restoring homeostasis (complete balance), so that your innate restorative and balancing processes can be supported and restored, resulting in optimal health. Members tell us that they use the spray for immediate, on-the-spot relief of pain, inflammation, muscle fatigue and anti-bacterial protection. Another frequently imitated product is our incredible Oleo do Antigos®, a multipurpose body oil, infused with Zeropoint Energy, which is ideal for soothing and healing, as it penetrates into the skin working on the soft tissues (the muscles, tendons and ligaments) to improve muscle tone. Naturally enhanced with squalene, Oleo dos Antigos® reaches deep, to stimulate and unblock the energy centres of affected organs for instant relief. This oil also has anti-bacterial and anti-fungal properties that support the natural healing process. 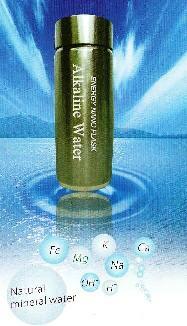 It is non-comedogenic, so it will not clog your skin pores, and it is hypoallergenic. Oleo dos Antigos provides dramatic results in as little as one use, delivering subtle energy re-balancing effects that support the body's natural healing process. 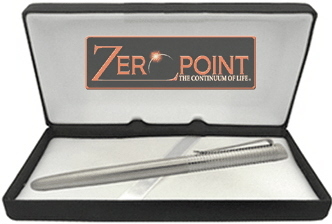 Copyright ©2009 – 2010 Zeropoint – the Continuum of Life®, LLC All rights reserved. Exclusively produced for educational and informational purposes. Statements made in these materials have not been evaluated by the FDA. This material is not intended to diagnose, treat, cure or prevent disease. IT Does The Work... YOU Get The Benefits! The gentle undulating motion of a fish, starting at the tail causes its entire body to move. This undulation pushes oxygen through the fish's body in the absence of lungs. The Exerciser 2000 emulates that gentle undulation. Aerobic exercise with the Chi Machine takes just 5 to 20 minutes a day. Five minutes is equivellent to a 30 minute walk and fifteen minutes is equivellent to a 90 minute walk with none of the impact injury risk of stair stepping or running. Powerful Reflexology, Leg And Foot Massage, and much, much more!